I have been nominated for liebster award, Thank you so much to adhi2001 🙂 for nominating me – It’s a great to know that you feel that I deserve this award. It’s a pleasure to receive this. Thankyou once again. 1.Thank the person who nominated you and links back to their blog. 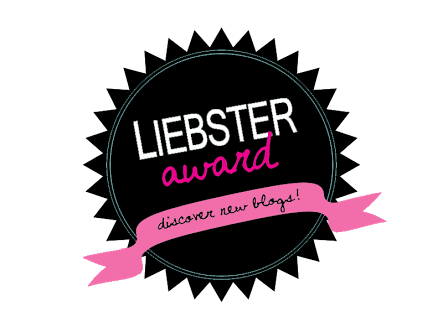 2.Display the Liebster Award on your blog. 3.Share 11 random facts about yourself. 4.Answer the 11 questions you were asked. 5.Nominate 11 bloggers with less than 200 followers for the Award and have them answer 11 questions. 6.Let the other bloggers know you’ve nominated them. 7.Copy the rules into your post. • I cannot think of anything presently. From where I’ll bring eleven fact. • I am an insomniac. • I am a pluviophile. • I am calm and composite. But if I lose my temper nobody can control me. Kind off short tempered. • I think I am going crazy. A mental retard and I guess I need a psychologist/psychiatrist. • People have mood swings but I have food swings. Strange. • I have crazy streak in me for doing adventurous things. All the wild and fun things that cluches heart. They are my type of things. Things which might be dangerous but more fun type. • I fall under the category of studious and obident student. • Class 11th has taught me great deals. • Only show I watch is Sherlock.Benedict Cumberbatch is brillant actor. 1.What do you prefer- A library or cinema theatre? 2.What is your favorite cuisine and why? North Indian and Chinise and why,because it’s food. It demands to been eaten. #thefaultinmydiet. 3.What is your favorite genre of music and who is your favorite singer/band? My favorite genre is country pop and sufi songs. My favorite singer is taylor swift and Kailash kher, Atif aslam,Mohit chuhan last not the least Rahat fateh ali khan. 4.What is your best quality? I don’t know. I don’t think I have something special in me. Something unique. Yet to discover that. 5.Are you nocturnal or diurnal? I blog because it helps me to maintain peace of my mind. It’s my way of shuting the irritating world down. It’s a way of express my thoughts which otherwise I won’t be able to share. 7.What is your worst fear? I am scopophobiac. Except this I don’t have any fears. 8.What is your biggest loss in life till date? I don’t think I have lost anything big in life. I accept the turns and changes in life. 9.Describe your day without internet. I am without internet this implies my exams are going. But otherwise also I am not a much of internet person. I can stay without internet. It’s ok. Hardly matter. 10.What are the qualities that you look forward in a friend? I believe that friendship is a very pure kind of relationship.It’s eternal love. And I don’t want to make any boundries. I am not going to sell LIC policy that put terms and conditions. It’s elemantal relation. So I’ll accept it the way it comes. 11.If you ever get a time machine, to which phase of your life will you rewind it to? I would love to visit two phases of my life. First,my childhood so that I am able to relive it and enjoy it. And second to my class 9th and 10th. So that I can relive some eternal moments again. Note- I know you guys have more than 200 followers but I really feel that you people deserve this award. 1. Who is your favorite writer? And favorite book? 2. One thing that nobody knows about you. Only if you are ok sharing it. 3. What is your preception about life ? 4. If you were given a book of your life story,would you like to read the end ? Why ? 5. If you were stuck on a desert island and could only have one wish what would they be? 6. Where is your happy place? 7. Who is your favourite blogger at the moment? 8. What would be your reaction if you came to know that your best friend or someone very close is betraying you or cheating on you ? 9. The bestest thing that has happened you ? 10. Something that has changed you as a person in anyway. Negative or positive. But being clearly visible and accessible is your blog’s advantage only, else as you wish.